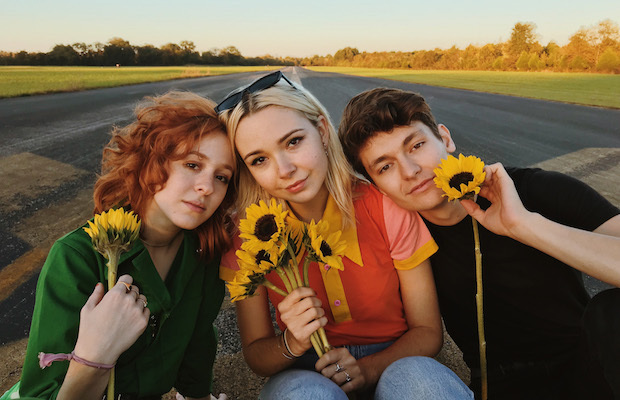 The latest project from precocious teenage rocker Lydia Night, Los Angeles group The Regrettes are fast establishing themselves as a formidable force in the rock scene, combining an affinity for retro pop and doo-wop with grungy, contemporary garage punk stylings, all laced with unabashedly feminist themes and riot grrrl vibes. Though definitely raw and reflective of the teenage experience, the group’s music and message are wise and relatable beyond their years, and their debut LP, last year’s Feel Your Feelings Fool!, is a defiant, bombastic, and unapologetically honest triumph, positioning the band as not just the latest young group of rockers to attract some buzz, but as a likely candidate to be the next champions of the future of their scene. Tonight, Dec. 9, the band will appear at The Basement East as part of AltNation’s Advanced Placement Tour, sharing billing with fellow buzzy up and comers Welles and Micky James. Tickets are still available here, and as we head fast into the holidays and see stops from touring acts start to slow down, this is one of the last under the radar happenings of the year you should have circled on your calendar. Hailing from right here in Nashville (by way of Arkansas), Welles is an equally noteworthy artist you should be keeping an eye on. Though he’s been making music for many years, the singer only last year released a debut EP under the Welles moniker (he previously made music as Jeh Sea Wells), Codeine, with his first full-length, Red Trees and White Trashes, arriving earlier this year, earning the young performer mountains of positive press and drawing comparisons to rock legends. With an earnest, growling voice and a knack for penning personal, poetic, and honest lyricism, Welles adopts a style that draws from nostalgic, psychedelic, and grandiose tones fused with grungy, alternative, and modern indie sensibilities. And rounding out the lineup, New York alt rocker Micky James might be the greenest of the bunch, with just one officially released tune to his name, but given the grandiose, nostalgic, Bowie-esqe throwback power of his single, “Give It to Me Straight,” which is already finding critical acclaim and radio love, we suspect big things are in store for this exciting up and comer. There’s a lot of talent on this bill, and we’d urge you to check out any one of these performers; all together, this is a no-brainer! The Regrettes, Welles, and Micky James will perform tonight, Dec. 9 at The Basement East. The show is 18+, begins at 7:30 p.m. (doors at 6:30 p.m.), and tickets are available to purchase for $17.